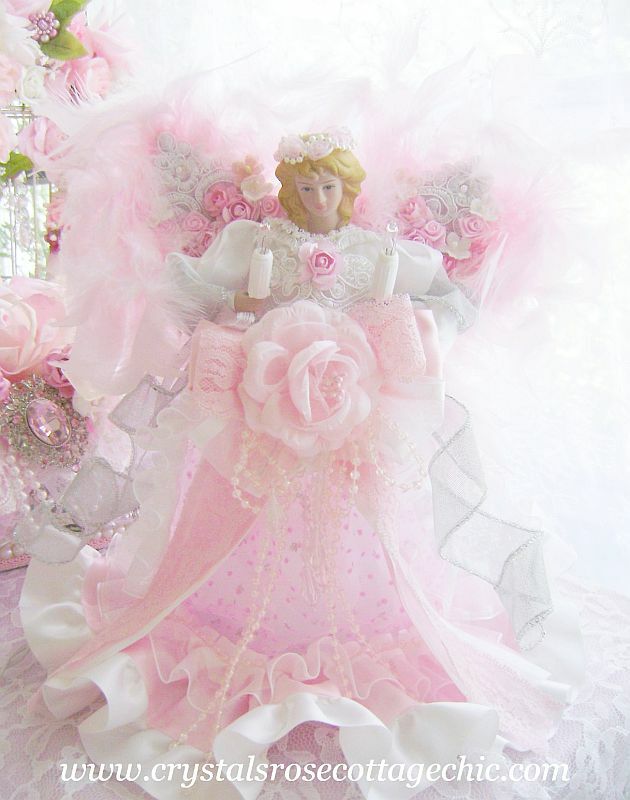 Beautifully embellished, pink rose, angel tree topper. 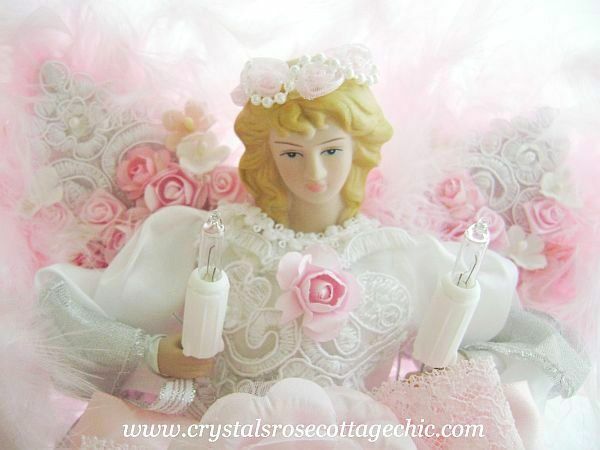 Lights up inside and has two lights in her hands. 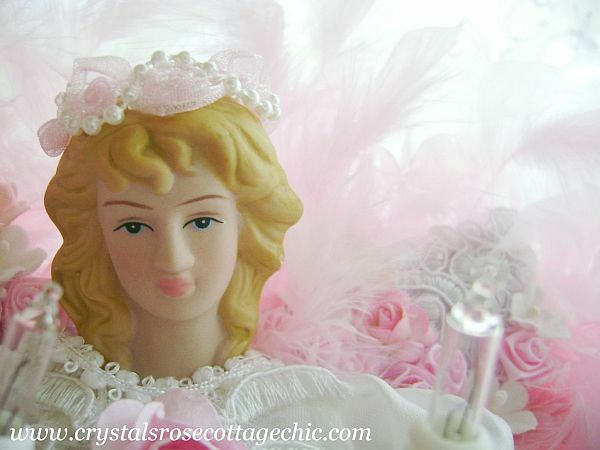 Perfect for your Shabby Chic/ Victorian/ or Romantic Rose tree or can also be used as table top decor for the Holidays. Shown in pink and white. Other colors available too. Measures 12" high. More than one available.